Alien Origins – Alternate Xenomorph Mythos Revealed! 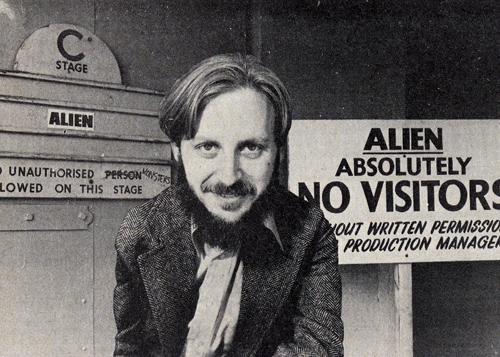 Long before the ALIEN franchise devolved into something far less alien, there existed an alternate vision of the mythos dreamed up by ALIEN’s co-writer Dan O’Bannon. 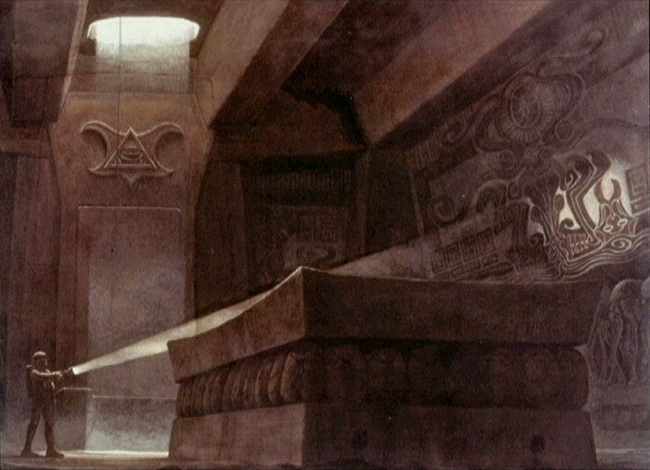 As detailed in O’Bannon’s original screenplay, the eggs were housed in a pyramid-like temple belonging to an alien culture which was indigenous to the planet. This backstory does well in explaining the Alien’s anti-social behaviour in ALIEN – as the creature which is born aboard the Nostromo is essentially a juvenile, separated from its own culture, without its elders around to keep it in check. Greg Moss is a film school graduate with a background in directing music videos and is currently seeking representation as a screenwriter. He likes right-brained people, feeding the cat and watching genre movies. The original life-cycle mooted for the Alien was why I always hated Aliens and all its Alien Queen nonsense. Its just so wrong! I never had an issue with the Alien Queen – as it did fill a logistical hole in its life-cycle (a result of Giler and Hill’s endless meddling with O’Bannon and Shusett’s original draft of Alien). Something had to have laid those eggs in the derelict right? At least Cameron’s concept of the Queen wasn’t nearly as much of a stretch as the idea in Prometheus that the jockeys were nothing more than empty environment suits – Aaaarrgghh!